Toyota RAV4 Performance, Engine, Ride, Handling | What Car? The RAV4 is a regular hybrid, which means it's the type you don’t need to plug in and charge up. This is obviously good for convenience, but it means you can’t go very far at all on pure electric power; even with 'EV mode’ selected you’ll be lucky to get more than a few hundred yards before the petrol engine kicks in to provide assistance. 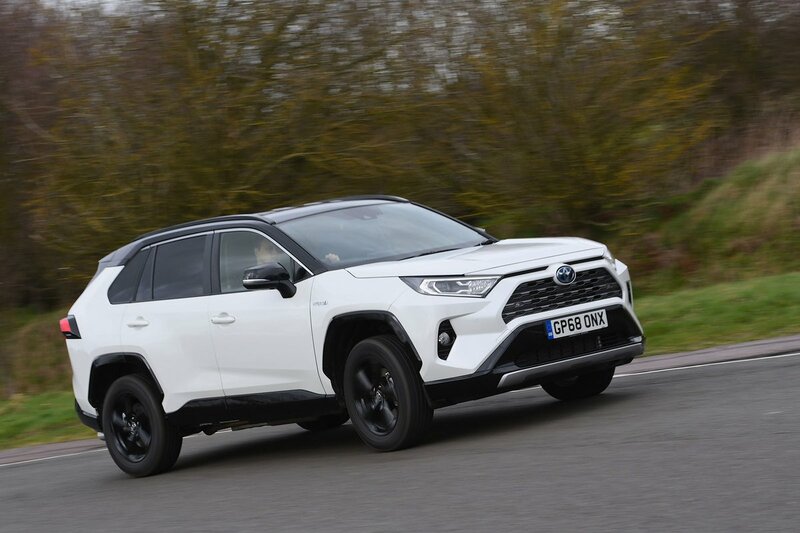 With that in mind, you're better off leaving the RAV4 in its 'normal' driving mode and allowing the car decide for itself when’s best to deploy the electric motor and petrol engine. This generally means electric power alone in stop-start traffic and a combination of both power sources at higher speeds. The main point of hybrid technology is, of course, to improve fuel economy, which it does (we’ll come on to that later) – but with the electric motor and petrol engine both giving their all in unison, acceleration isn’t too shabby, either. The two-wheel drive model can do 0-60mph in 8.4sec, while the four-wheel drive is fractionally quicker, taking just 8.1sec. Ride comfort isn't the RAV4's strongest suit. It's main rival, the Honda CR-V hybrid, is noticeable more settled around town and retains its composure better over sharp ridges and potholes. The Peugeot 5008, which isn't available as a hybrid but is roughly the same size as the RAV4, is also a more comfortable alternative. However, the RAV4 isn't as firm is the Mazda CX-5 so is less wearing than that car on long motorway journeys. The Mazda CX-5 is living proof that large SUVs can be relatively good fun to drive. 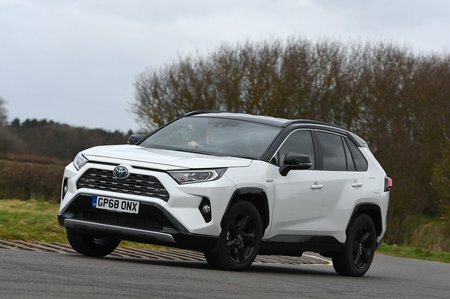 Sadly, the RAV4 isn't cut from the same cloth; it never feels particularly willing to change direction quickly, and doesn't have a great deal of grip compared with rivals, either. Admittedly, hybrids rarely handle as tidily as pure petrol and diesel cars because of the extra weight of their batteries and electric motors. However, the CR-V hybrid feels more stable through tight twists and turns and has more naturally weighted steering, too. The RAV4 is relatively easy to manoeuvre at low speeds, though. Put your foot down and the RAV4's petrol engine immediately starts revving hard, almost as though you’re stuck in first gear – except the car keeps accelerating and the revs only start to subside when ease off with your right foot. This is due to the RAV4's relatively unusual type of automatic gearbox. It isn’t what you’d call a relaxing experience, especially since the petrol engine sounds rather coarse and channels vibrations up through the soles of your feet. The rival CR-V hybrid's petrol engine is noticeably less intrusive and that car also suffers from a bit less tyre roar on the motorway. 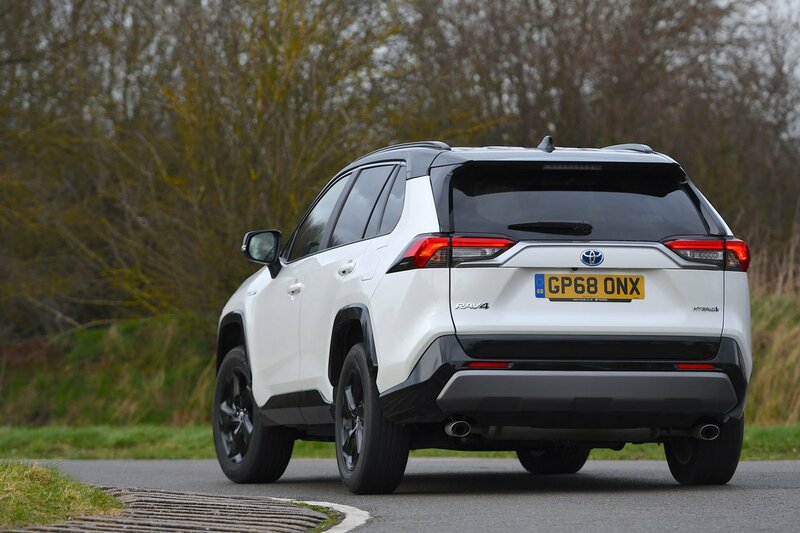 Mind you, at low speeds, particularly in stop-start traffic, the RAV4 is remarkably hushed compared with the majority of pure petrol and diesel rivals. As with many hybrids, the brakes tend to be a bit grabby, making it hard to slow your progress smoothly – but this is something you get used to in time.